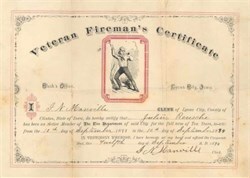 Beautifully engraved Veteran Fireman's certificate issued in 1894. 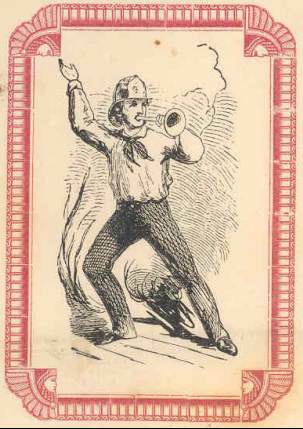 This historic document has an ornate border around it with a vignette of a fireman blowing a horn and signaling for help. This item is hand signed by a clerk and is over 109 years old. The certificat has been folded and shows minor seperation on the folds.